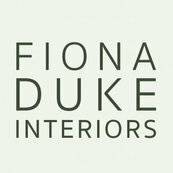 Fiona provided me with a 2 hour consultation, predominantly to chose quartz worktop, tiles, paint colour to complement kitchen cabinets and floor tiles already selected. Fiona helped me explore the choices I'd already made and what sort of look I was going for. Using her wealth of knowledge she guided me through lots of options and we made selections together that I was happy with. Once decided, she also provided me with visuals of how it would all look in situ which was very helpful during the different stages of the project where you start to question how it's all going to look when completed. Her help ensured I was confident in the choices I had made and could sit back and wait to see it all come together - which it did beautifully! I asked Fiona Duke for help to make my house in to a home to inject love.